LOUISVILLE, Ky. (Dec. 2, 2008) — The 2009 Chevy Workhorse Class C motor home chassis offers a dramatic increase in towing capacity that now allows RVers to tow most passenger vehicles with a Class C motor home. The GCWR (Gross Combined Weight Rating — weight of loaded vehicle and what it’s towing) of the heavy-duty version of the Chevy Workhorse cab chassis has been boosted from 17,600 lbs. to 20,000 lbs., while the GVWR (Gross Vehicle Weight Rating — top weight allowed for vehicle and payload) has been increased from 14,050 to 14,200 lbs., giving it best-in-class payload capacity. 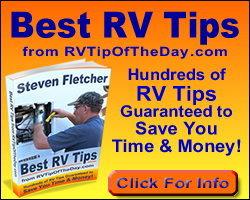 RVers who like the driving confidence and maneuverability of Class C motor homes can now tow all but the largest cars, SUVs and trucks due to the 2009 model’s 20,000 lb. GCWR, which allows up to 5,800 lbs. of safe towing capacity, depending upon the manufacturer’s trailer hitch rating. Chevy Workhorse Class C comfort is enhanced by the roomy cab with a forward-mounted engine doghouse and large foot wells. This is also made easier to access with wide step pads. The independent front suspension contributes to a very comfortable ride along with the upgraded seating. “The ride and handling lives up to the reputation of our Class A chassis,” said Walmsley. Convenient features include easy-to-read instrument cluster and redesigned radio/MP3 controls along with such touches as a front bumper step for cleaning windshields, well-placed cup holders, oversized map pockets and a driver information cluster that includes an oil life monitor. Special safety features also include daytime running lights and battery run down protection with retained accessory power. Further providing peace of mind is Chevrolet’s 100,000-mile/5-year limited powertrain warranty. Free emergency roadside service is also provided for the same term. Workhorse Custom Chassis is an affiliate of Navistar International Corporation (NYSE: NAV), a holding company whose subsidiaries and affiliates produce International® brand commercial and military trucks, MaxxForce™ brand diesel engines, IC brand school and commercial buses, and Workhorse® brand chassis for motor homes and step vans. It also is a private-label designer and manufacturer of diesel engines for the pickup truck, van and SUV markets. The company also provides truck and diesel engine parts and service. Another affiliate offers financing services. Additional information is available at www.Navistar.com/newsroom. For additional information about Workhorse call 877-294-6773 or visit www.workhorse.com.